While most of the game MMORTS put yourself behind the sturdy town or fortress, then Indomitus take you directly to the actual nuances of style RPGs in general. 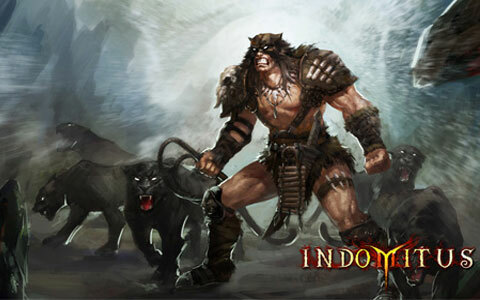 In fact, Indomitus also have more combat mode rather than browser-based strategy game others, such as Real-time City Siege, Historical Battles, Bandits Raid, PvP, Guild Battle, and there's more loh .. There are 9 allegiance as an option where you serve. Together with other members, you travel across the entire territory of Europe. Another uniqueness in Indomitus is that you are given the opportunity to surrender, as well as the option to keep playing despite having suffered the defeat. So you no longer need to keep restarting the game every time I lose. Posted by Game4share at 10:06 AM . Filed under .